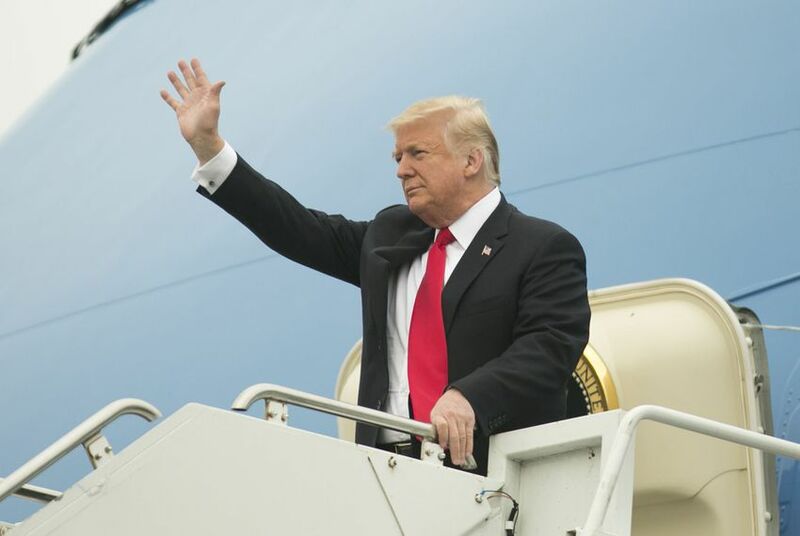 President Donald Trump is making a trip to the United States' border with Mexico on Thursday. It wasn't immediately clear whether he would visit Texas. President Donald Trump is headed to the U.S.-Mexico border Thursday. White House press secretary Sarah Sanders announced the trip Monday morning, saying Trump will visit the border "to meet with those on the frontlines of the national security and humanitarian crisis." No additional details were available, including whether Trump would visit the part of the border in Texas. But the Federal Aviation Administration has issued an alert for "VIP movement" near McAllen on Thursday. Word of Trump's trip comes more than two weeks into a partial government shutdown prompted by Trump's demands for funding for a border wall. Shortly after Sanders announced the visit, Trump tweeted that he would address the nation Tuesday night "on the Humanitarian and National Security crisis on our Southern Border." After a visit Monday to a Border Patrol station in Alamogordo, New Mexico, U.S. Rep. Veronica Escobar, D-El Paso, said that if the president did come to Texas, it would be a predictable and self-serving visit to promote his long-promised border wall and fuel his narrative that the border needs to be sealed. Escobar and U.S. Rep. Joaquin Castro, the Congressional Hispanic Caucus chairman, were part of a delegation that visited the station to press for more details on the death of 8-year old Felipe Gomez Alonzo, a Guatemalan immigrant who died last month after he and his father were apprehended by U.S. Border Patrol agents in El Paso. Last week, the president said he might consider declaring a national emergency in order for construction of wall to begin without congressional funding. Anticipating that the president could announce the initiative Tuesday night, members of Congress said they would take every action possible to stop construction before it began. “It would be profoundly inappropriate for the president of the United States to circumvent the legislative branch of the United States government, the United States Congress, and single-handedly — against the will of the American people and the American Congress — put up a border wall on the US-Mexico border,” said Castro, D-San Antonio. Patrick Svitek reported from Austin, and Julián Aguilar reported from Alamagordo, New Mexico.